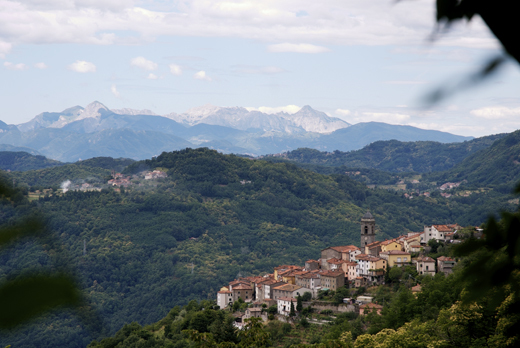 Casabasciana is situated 572 meters above sea level, and 9.5 kilometers from Bagni di Lucca. Take the brennero and the junction at Fabbriche di Casabasciana.Passing the locality Corona theres an antique church of San Michele in Mariceto of the13thcentury.Also Casabasciana had another church dedicated to San Lorenzo in Cerqueto e San Martino in Surignana.Under the village is visable a roman building from the 12thcentury.The square is dedicated to Father Giovanni Ricci born in Sorbano del Vescovo, he was the parish priest from 1952 to 1957, died young and buried here under his own will.A paved road is the main street and cuts in two the village with the houses of the rich families like the Finucci, Iacopucci (già Laurenzi) and Lignani, at the end of the street there’s an old stone wash-house, in a place called"Aia alla Porta” made in the mid 30’s of the 19th century,there’s a muletrack which takes the inhabiants of Casabasciana and Crasciana to Fabbriche and Bagni di Lucca.The heart of the village is the square called Cavour. theres an old school now property of the population, a pubblic oven and a bar.On the 16th August a dinner is held in the square and riunites locals and friends from other villages.Casabasciana was territory under jurisdiction of the vicar,which brought together the villages of Crasciana,Lupinaria, Surignana,Brandeglio,Solcio, Basirica,Cerqueto and Cocciglia.The name of the village orginates from the roman settler Bassius, casa=capanna, bassiana=casabasciana. 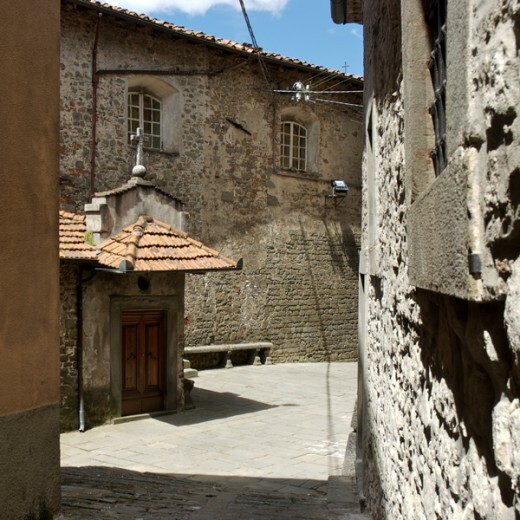 The place called Cerqueto has a small church of San Lorenzo on the muletrack that brings you to Casoli it is remembered on the records in the year 737.Casabasciana is remembered in a parchment of 918 like parish of the S.S Quirico e Guilitta patron saints of the village the feast day is the 16th of July.In old records the village has two names:Casabasciana e Casanicclo.In four parchments of 985 theres records of the levelling of land,houses and household goods made by the bishop of Lucca and the people of the village.In the first half of the 11thcentury they had to pay taxes to the Holy See because of the donations made by the countess Matilde di Canossa to the sovereign Gregorio VII. 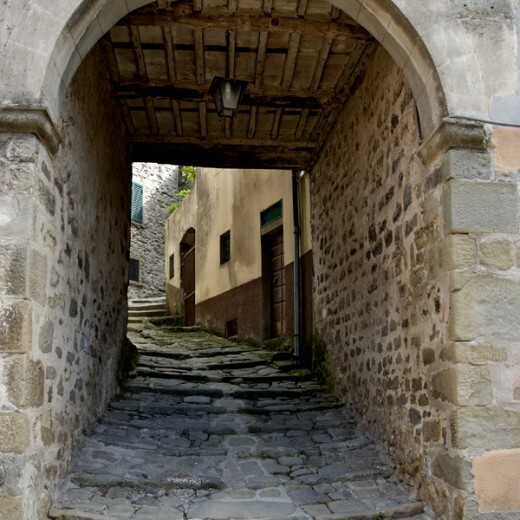 This was a stronghold of the Lupari until 1316 when Castruccio Castracani degli Antelminelli had taken away all his wealth and property making Lupar exile to Bologna.Casabasciana was fortified in the 10th/11thcenturies, in 1385 the fortress was repaired and in 1648 the garrisons for the defence where taken away and the conservation of the fortress was given to the population.Casabasciana and Crasciana had 2000 inhabitants in the 16thcentury. A road from Val di Lima crossed the mountain Battifolle brouhgt them straight to Valdinievole.There were alot of fights for tresspassing,deaths and wounded for damage to property and land with the population of Valleriana until 1541 when peace was found.The statute of Casabasciana was from 1622 and 1735.The church to the S.S Quirico e Giulitta is of the 18thcentury and was built on the old oratory of San Pietro,in 1826 the church was distroyed.Inside there’s the body of San Primo Martire-a small boy of 4years killed the century before, brought from the roman catacomb of Sant’Ippolito in 1833 for will of the Iacopucci brothers.The organ inside the church is an Evaristo Santarlasci dated 1890.Every five years the second sunday of august, Casabasciana celebrates San Primo,lighting up all the village and at night finishing with fireworks.For this celebration lots of devoted emigrants return to Casabasciana. 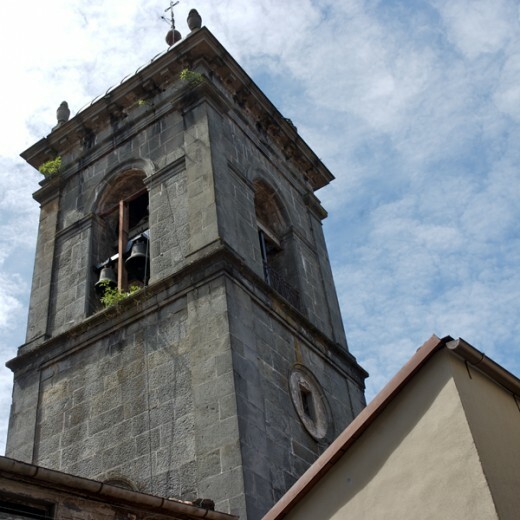 The parish is dedicated to San Giovanni Battista and on the 24th June mass is held to this saint.Casabasciana is remembered as a parish in a parchment of 918.The church of San Giovanni Battista has three aisles and eight pillars,when repairs where done by The Monuments and Fine Arts Office they found that the old church had three aspes and the ground floor was lower than the one found. The roof is made of beams but modified to open side windows. 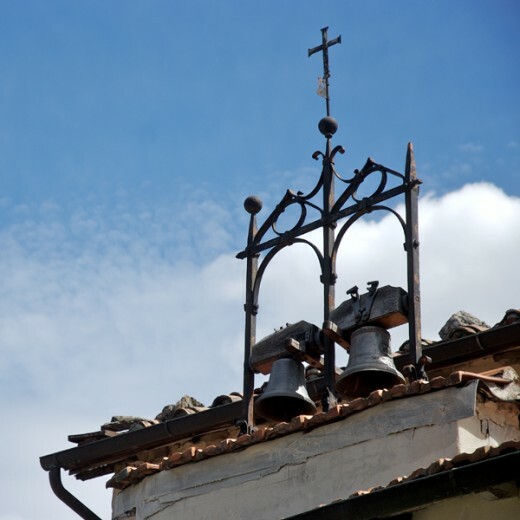 The bell tower has double lancet windows it is beautiful and severe.